Urban renewal of the Royal Brisbane and Women’s Hospital, including the development of a new 132-bed public rehabilitation and ambulatory care centre, a new private hospital, student accommodation, aged-care and retirement living, childcare, retail, car park and adaptive re-use of heritage assets. 40,000sqm, 31-storey, A-Grade commercial office development. Avenor executives were central to the acquisition, leasing, sale, design and delivery of this $413 million landmark North Sydney project. 27,000sqm, 14-storey, A-Grade commercial office development and vertical campus for Western Sydney University. Avenor executives were central to the acquisition, design and planning approval and leasing of this $220 million project. 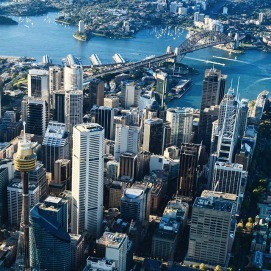 Avenor coordinated a major tender for the $2 billion redevelopment of the White Bay Power Station site in inner Sydney. 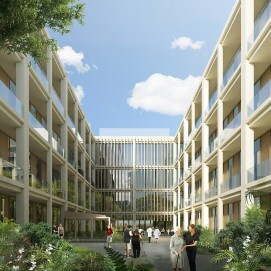 Avenor, leading a specialised consultant team, undertook a major feasibility, design and masterplan study for the precinct that included 280,000sqm of mixed-use property comprising 150,000sqm of commercial office space, two hotels, adaptive re-use of major heritage assets and integration of a number of public transport nodes. 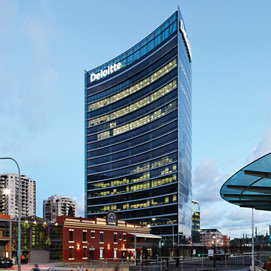 Avenor executives were central to the acquisition, marketing, sales, leasing and delivery of this major development site on the edge of the Perth CBD, comprising four A-grade commercial office towers. 60,000sqm, 41-storey, premium commercial office tower with high end retail. Avenor executives were central to the development management of this $1 billion project from inception to completion. 11,000sqm, 11-storey, A-grade commercial office tower. Avenor executives were central to the pre-sale, leasing and delivery of this $80 million project. 11,000sqm, 11-storey, A-grade commercial office tower. Avenor executives were central to the pre-sale, leasing and delivery of this $50 million project. 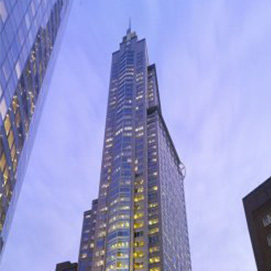 26,000sqm, A-grade commercial office tower. Avenor executives were central to the pre-sale, leasing and delivery of this $170 million project. 16-storey residential apartment building. Avenor executives were the development director for the joint venture partner managing the delivery of this $800 million project. 14,000sqm, 14-storey, A-grade commercial office tower. Avenor executives were the development managers of the project. 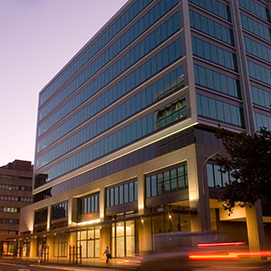 30,000sqm, 32-storey, A-Grade office tower with a 10,000sqm podium retail centre. Avenor executive was central to the development management through design, construction delivery and leasing. 49,500sqm, 41-storey, premium commercial office tower and 16-storey residential apartment building. Avenor executives were the development director for the joint venture partner managing the delivery, leasing and sales of this $800 million project. 312 apartments and 16 townhouse infill development. Avenor executive was central to the acquisition, design, planning approval, pre-sale marketing and construction commencement for this mixed use urban renewal project. 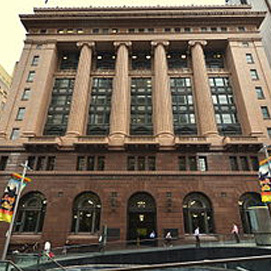 22,500sqm, 18-storey A-grade commercial office tower. Avenor executives were central to the pre-sale, leasing and delivery of this $180 million project. 129-apartment, 21-storey residential tower. Avenor executives were central to the acquisition, design, planning approval, pre-sale marketing and construction of this residential tower. Avenor executives were central to the acquisition, design, sales and marketing and development management of the redevelopment of the historic Boggo Road Gaol site, in Brisbanes Dutton Park. 119 apartments and townhouses. Avenor executives were central to the acquisition, design, planning approval, pre-sale marketing and construction of this $64 million development. 6 luxury residential apartments. Avenor executives were central to this $33 million development from acquisition, design, through delivery and pre-sale marketing. 312 apartments and 16 townhouse infill development. Avenor executive was central to the acquisition, design, planning approval, pre-sale marketing and construction for this mixed use urban renewal project. $130 million, 1,000 lot residential subdivision with retail centre, bulky goods centre and retirement village. Avenor executives were the development executive for the joint venture partner of this project. 10,000sqm commercial head office. Avenor executives were central to the acquisition, design and management of this $30 million development. 13,000sqm light industrial park with 23 industrial strata units and six freehold office/warehouse units. Avenor executives were central to the purchase, approvals, sales and marketing and delivery of this $37 million development. Avenor executives were central to the project management and delivery of this $100 million premium refurbishment. Office strata refurbishment. 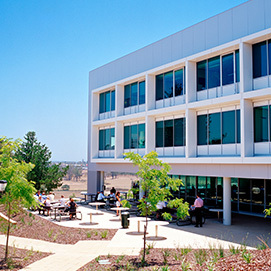 Avenor executives managed the design and delivery of this $15 million refurbishment. behalf of Top Spring International. 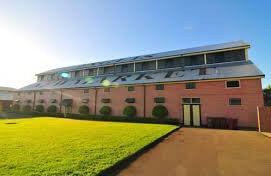 for Top Spring International in their acquisition of the Inglis site in Randwick, NSW. on behalf of a confidential international development partner. redevelop the Bondi Junction RSL Club. for the development of a major residential tower on Queensland's Gold Coast. partner for a major mixed-use site on the New South Wales Central Coast. in the downtown core of Sydney. The new $1 billion Royal Children’s Hospital Project is the largest hospital redevelopment to be undertaken by the State of Victoria, and one of the largest in Australia. Avenor executives project managed the multistage stage one works, requiring the hospital operational prior to major redevelopment being completed. Avenor executives project managed the entire design and delivery process of the main hospital, new research building, stand-alone central energy plant, roads, civil and landscaping works. 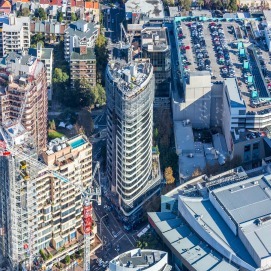 Avenor executives project managed the public private partnership procurement model for the $230 million Royal Women’s Hospital project relocating from Carlton to Parkville, Melbourne.